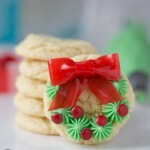 Christmas cookies that are delicious and beautiful and only take 4 ingredients to make! Yes, Christmas cookies really can be that easy! 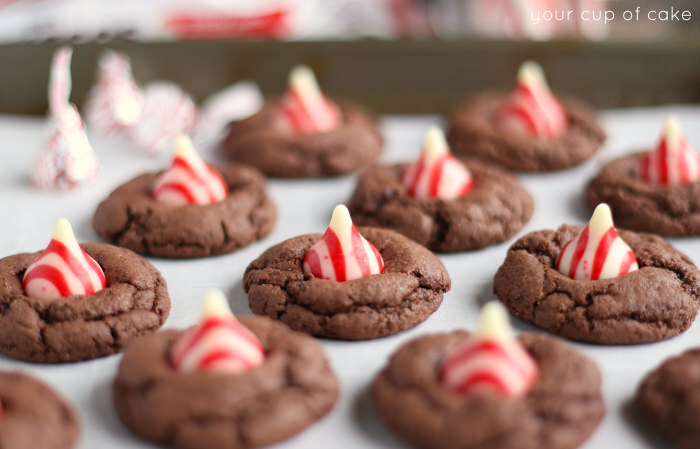 It’s like a chocolate brownie cookie and the simple topper of the Hershey Kiss just makes it so cute! 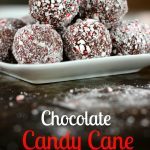 Now, I used the Candy Cane kind but you can use regular, mint, or whatever kind you prefer. The longer you bake these, the more “cakey” they’ll be, I prefer mine to be fudgey so I undercook them. Remember, cookies (and anything) will continue to cook while it’s out of the oven so be careful on your cooking times! That’s right, 4 Ingredient Christmas Cookies! 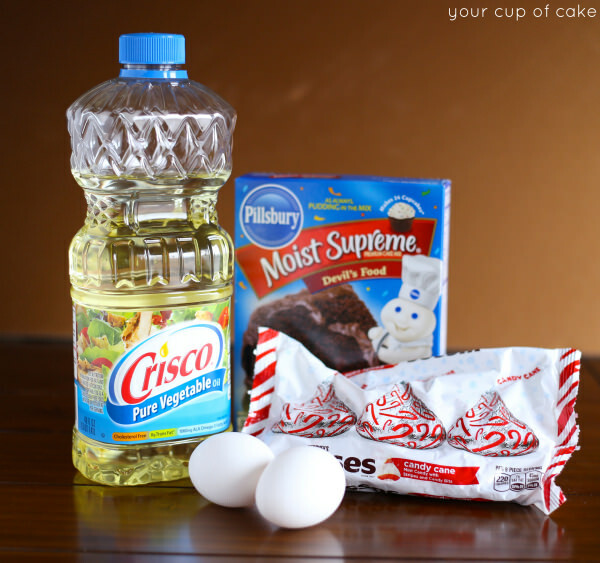 Oil, eggs, cake mix and Hershey Kisses! 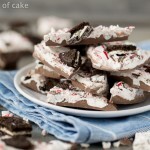 This is a perfect treat for a last minute cookie swap or gift. Food Scoops are the best! My life really did change when I got my first one years ago. 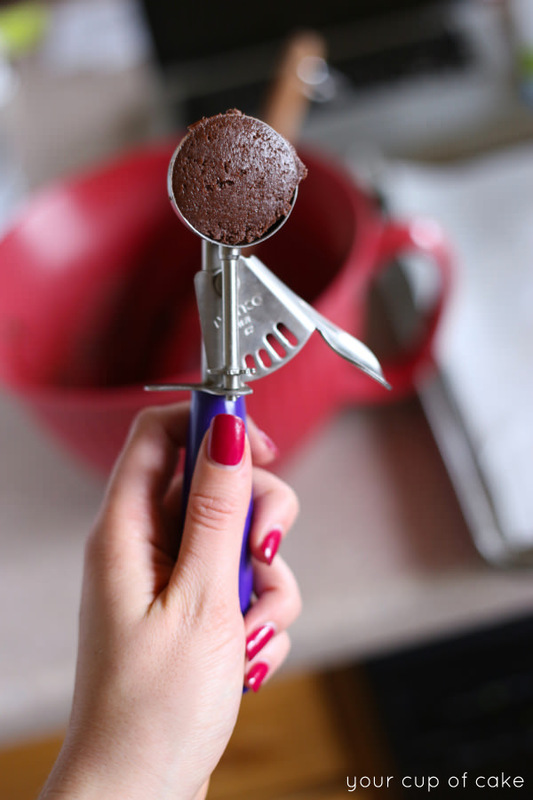 Not only does a food scoop give you the same size cookies, cupcakes and muffins but it saves so much time! And for cookies, it scoops out perfectly round dough balls! It’s a great stocking stuffer gift for the baker in your family! I like the blue or yellow for cupcakes and the black for cookies, but these cookies need to be quite small so I used my purple scoop which also works for mini cupcakes! Press a Kiss on top and you’re set! Wasn’t that easy? 30-40 Hershey Kisses I used the Candy Cane ones but the mint would be great too! 2. Combine cake mix, eggs and oil until smooth. 4. 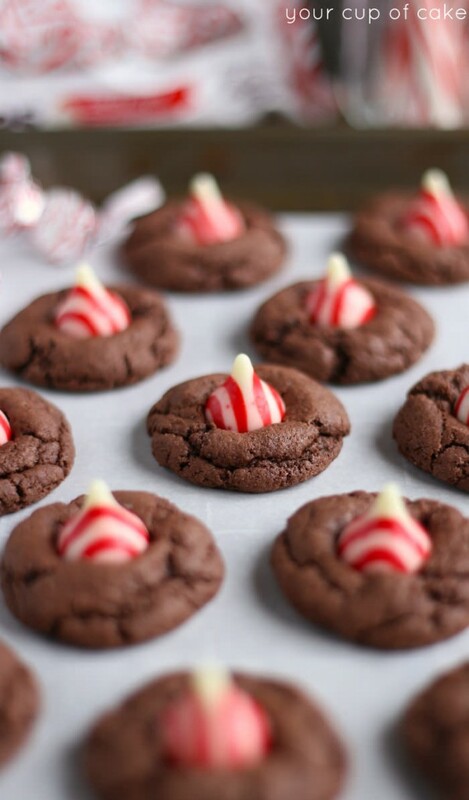 Let cool for 2 minutes and then gently press an unwrapped Hershey Kiss into each cookie. 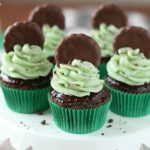 Make sure you didn’t miss my Andes Mint Dessert Round-up post! 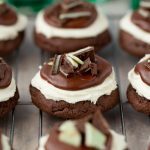 Minty recipes for all! 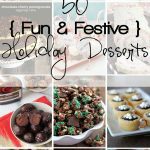 50 Fun and Festive Holiday Desserts! Just trying to be helpful — not to criticize. You have a couple typos in the cake mic cookie write-up 4-ingredient cookies. “Not only does it (the scoop) give YU the same size cookies…” and “it’s a GREY stocking stuffer”. I do like some of your ideas, so just trying to help you make your site better. Merry Christmas! Oh my! Thank you! I wrote this post up really late last night and obviously that shows 🙂 Merry Christmas to you too! This looks fantastic. Do these cookies freeze well? It makes about 30-40 cookies but it will just depend on how large of cookies you make! 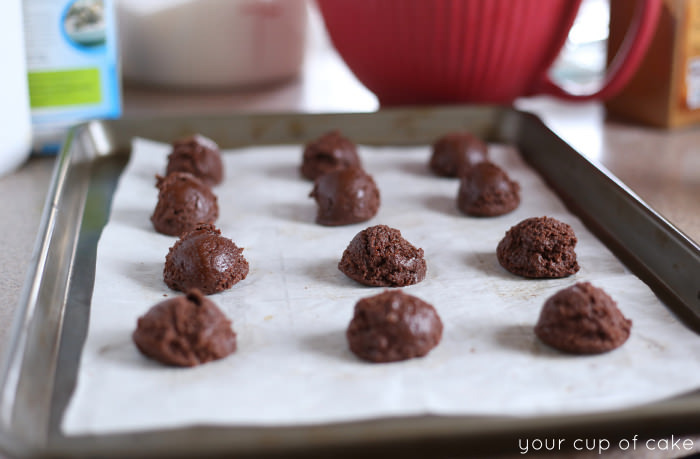 Do you use an electric mixer for the cookie dough or mix by hand like brownies. Cute idea. I need to make 6 dozen for my cookie exchange. Hi Lizzy. As always, love all your recipes and I’m sure this one will be a “keeper” too. 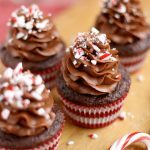 Made your Andes Mint Cupcakes for a Holiday Event and completely sold out!! Thank you for continuing to share all of your amazing recipes and photos. You are the BEST! Oh that’s so incredible to hear! Thank you so much for your support. It’s because of readers like you who share and pin and tell people about my site that I can even do this! Merry Christmas! I’ve never made cookies out of cake mix before.. this is definitely something delicious and easy that I need to try. Perfect for Christmas time too! Never underestimate a box of devil’s food cake mix!! awesome! Will be making these tonight for Christmas presents!! I needed something and got this email today! Yay!! Hi Lizzy – I love your site, and your recipes never fail me! Tonight, I am baking cookies with a chocolate cake mix, and adding chopped cherries and chocolate chunks. What kind of cherries are you using? Thanks and Merry Christmas! blog. Do you ever run intoo any web browser ccompatibility problems? Do you havfe any ideas to help fix this problem? 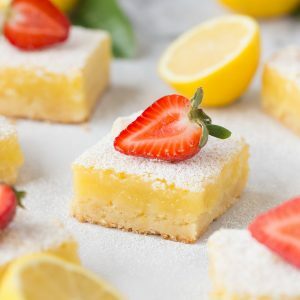 Would this work with other cake mixes too? Like Red Velvet cake mix? Yes! Though you may need to decrease the oil just a little! Red Velvet cookies don’t rise as much so you won’t even need to pat them down at all before baking! I needed to thank yyou for this good read!! Thanks for the life saving recipe tonight. My daughter needed to bring a recipe to a party tomorrow and this one was great. 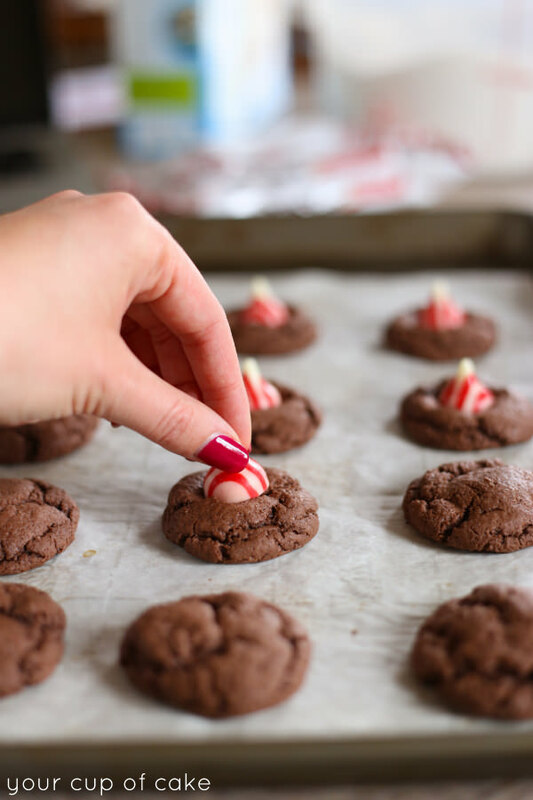 Did you know your recipe asks you to put UnWrapped kisses on the cookie? Unwrapped means to remove the candy kiss from its wrapper – so it can be eaten without biting into the wrapper. Could I use butter instead of oil?? These were so great! I made them twice this week for Christmas treats, and people loved them. Thanks for sharing this super easy, yet tasty Christmas cookie recipe! Not a good receipe people. You cannot put parchment paper in the oven!!! It causes the oven to smoke. I also combined the eggs, oil and cake mix with a mixer and ended up failing. All it did was clump together and make batter taffy like. You should be more specific, for example, combine by using a spoon. gain knowledge օf more and mօгe. My batter looks really thick should I add water to it??? 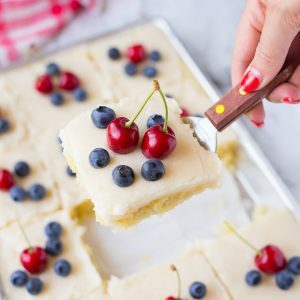 Yes you can use a white cake mix! 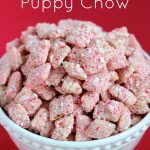 Made these last night and they were amazing! Thank you so much for sharing! Oh yay!! 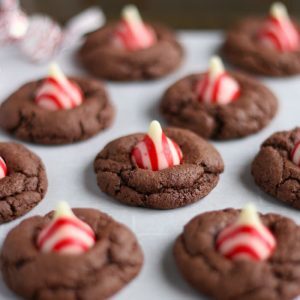 Check out my Hot Chocolate Cookies too! It used the same cookie recipe but toasts a marshmallow on top! HI! Should we refrigerate these right after they’re made to harden them up or leave them alone? Also, do they stay at room temp after they’re all done? Question- your recipe calls for a cake mix and oil and eggs. Is the oil and eggs in addition to the ones used in the cake mix? So I made these yesterday and I failed somewhere lol you say use 2 eggs so the box of cake mix call for 3 eggs and oil and water so I just did the 2 eggs and oil no water and they were so flat and spread all over 😂😂😢 what did I do wrong? ?